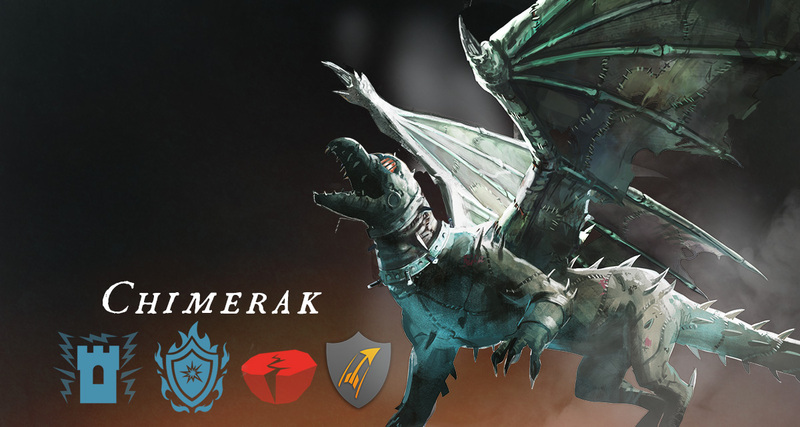 Which dragon will you be unlocking first from the Nightmare Collection? The Fall 2017 ushers in new Divine Dragons available to collect! 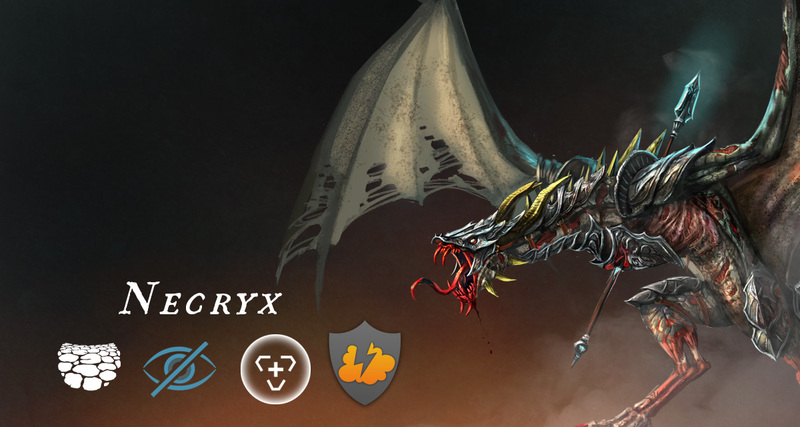 Will you feed the nightmares of your enemies with the monstrous Chimerak, seed some Arachnophobia with the hungry Spindra, or laugh in the face of death with Necryx? 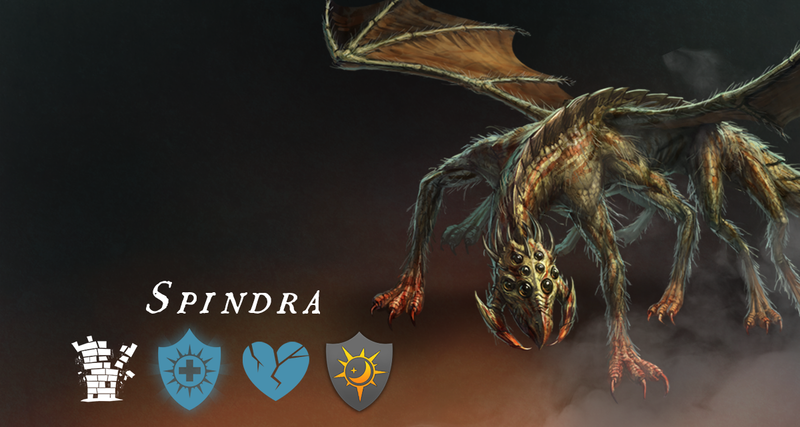 To help make your choice, read on to learn about the spells that each of these dragons will wield in battle. Each dragon will start in Orange Tier and can be leveled up through the tiers through the use of Evolution Stones. Evolution stones for each dragon will be obtainable through their specific Fall Season branch up through Obsidian tier. The first cast of Seething Spark increases the dragon's damage by 25%. A second cast deals damage to towers in range and stuns them for 4.5 seconds. Casting Static Shield puts up a shield of crackling electricity for 2.5 seconds that absorbs all damage until either the duration ends, or the shield absorbs damage equal to 50% of the dragon's max HP. The shield then explodes, shocking all surrounding towers for damage equal to 10% of the dragon's max HP. Earthquake shakes the earth under a large area of buildings, dealing area damage and preventing the towers from attacking. Reduces Archer Tower Damage by 70%. Enfeeble can be cast on 2 towers at a time. The first cast reduces tower damage by 50% and increases damage taken by towers by 20%. After a 1 second cooldown, Enfeeble can be cast again on the same towers to instantly destroy them. Northern Lights releases ribbons of energy which surround the dragon, making it invulnerable to all attacks for 6 seconds. Once the duration of the spell is over, the ribbons of energy expand outward and apply a healing mark to buildings in range, each of which heals 10% of the dragon's health. Casting Sacrifice deals 15% damage to your dragon but gains 2 rage points. Desiccating Sand launches choking sand that does a large amount of damage in a small area, and prevents the towers from from firing or blocking spells until they take damage. Conceals your dragon so that enemy towers cannot attack. Blue mage towers cancel this effect. Prevent all damage from elemental attacks for 4.5 seconds. Heals up to 35% of Max HP based on elemental damage received. 2 second cooldown. Reduces Lightning Tower Damage by 70%. Join the Fall 2017 Nightmare Collection discussion with fellow Dragon Lords on our Official Forums here.